Ashen Winter is the sequel to Ashfall and is another realistic and gripping read which follows the aftermath of the Yellowstone supervolcano and the havoc and destruction which has been wreaked. Alex and Darla are staying with his relatives in Illinois but when they hear news of his parents being in Iowa they make the trek to try and find them. Their journey was certainly a difficult one; they are now not only fighting for their survival but also with the elements. It was a treacherous, dangerous trip but they fought through it – both mentally and physically. Ashen Winter takes you on an action-packed thrill ride, it was go go go in Ashfall but the sequel didn’t let up, the pacing was superb and I was literally flying through the pages – there were quite a few parts which I found unbelievable but were enjoyable none the less. It takes place six months after Ashfall and the lack of effort to rebuild infrastructure and regain order has been cause for political mayhem, it is a fascinating plot. I feel Alex grew as a character, he was a fighter, daring and determined; he was extremely reckless at times but considering what they were facing it could be brushed off. Darla was amazing, a survivalist and the ideal traveling companion, she is someone I’d definitely want covering my back in a post-apocalyptic world – I just wish there was more of her in this book. We also get to meet a few new characters who I found to be intriguing – siblings Ben and Alyssa were a great addition and although Alyssa grated on my nerves her actions were believable. The only thing which I felt was too much for me in this book was the amount of information we are given, it is a long read at 576 pages and I at times found myself skimming to get to the parts I wanted. Mike Mullin’s writing is brilliant; I have been thoroughly entertained through both of his books and I am thankful to have read them back to back but I’m now extremely anxious to get hold of the last book in the series which has an anticipated 2013 release. Overall, Ashen Winter is another great installment in the Ashfall series. It has plenty of thrilling action, suspense, heart-break and amazing characterization. It is definitely not for the faint of heart as it does contain violence, death, cannibalism, sexual circumstances etc. but is otherwise a gripping read. 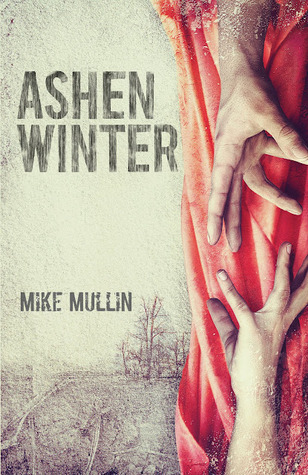 Ashen Winter was kindly provided to me by Netgalley for Tanglewood Press. I really, really need to start this series, especial after reading your thoughts on book two. I love a good book with suspense. Did you say cannibalism? Eep! Great review, Sharon! A friend suggested this series might not be for me because of the scenes involving animals but that doesn't mean I'm not curious so I'm really happy to be able to read your review and find out what happens. I hope you get your hands on the last book asap! Great review! I finished this a few weeks ago and loved it! It's such a great series, but it kind of freaked me out a bit. I'm glad that you enjoyed it. I'm bummed that I have to wait so long for the next one to come out, I'm dying to know what happens.